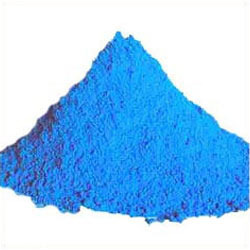 Manufacturer of a wide range of products which include copper sulphate, copper sulphate crystal/powder, copper carbonate, copper nitrate and copper acetate. 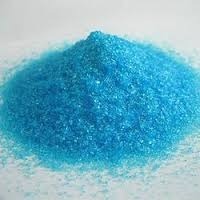 Pure Copper Sulphate offered by us receives huge demand in the market for its quality. 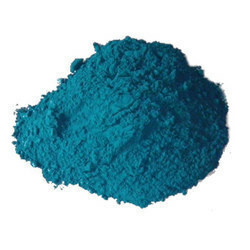 In this range, we offer blue copper sulphate, which is known for its solubility in water. 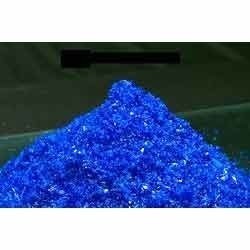 Owing to the quality standard of chemical offered by us, we are counted among the topmost copper sulphate suppliers in the country. Rich fundamental properties make this product ideal for various commercial usage. 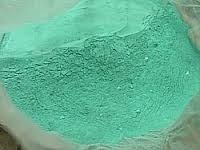 We are instrumental in offering a broad range of Copper Sulphate Crystal/Powder. The offered product is made with quality grade ingredients, sourced from authentic vendors of the market. Well tested by our deft experts who formulate the composition, after deep research and study. Moreover, the offered product is in confirmation to specified quality grade. We are counted amongst reckoned names in the industry, committed towards offering Basic Copper Carbonate. HM lined HDPE bags of 25/50 kgs. Accurate in formulation, these Copper Nitrate are supplied in the market in complete safe packing. These nitrates are quality checked several times before presenting in the market. Finely prepared in dust free environment, these nitrate products are highly praised by the customers due to presence of all the physical and chemical properties. Packing - 50 kg HDPE new Bag. ince our commencement in this competitive marketplace, we are affianced in delivering a comprehensive assortment of Copper Acetate. Prepared precisely, these products are prepared by using finest-grade ingredients along with contemporary amenities. Additionally, these products are examined stringently before getting delivered at the premises of our customers. Packaging Details: 50 Kg Hdpe bag.